Shelving System / Bookcase: PR545591 (2 bays, 124cm wide, 148cm high, 50cm deep). Quantities can be amended at the basket stage. Shelf supports included with all shelves. 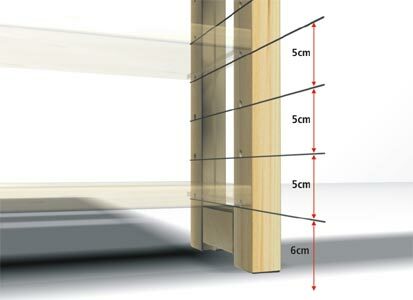 All shelves are adjustable every 5th centimetre including the top and bottom shelves. Q. Where can the Shelfstore System be used? Our shelving system is used for all domestic and commercial applications. Q. Can I add doors and drawers to my shelving? Yes you can add doors, drawers and lots more including desks, table tops, Corner shelves and lots more see here. Q. Can I choose my own delivery date? Yes you are able to choose a preferred delivery date during checkout. Q. What is the delivery time? Between 1-3 days, you are also able to choose you preferred delivery date at stage 2 of the checkout. The current delivery date is 24/04/2019. Q. Can I adjust the position of the shelves? 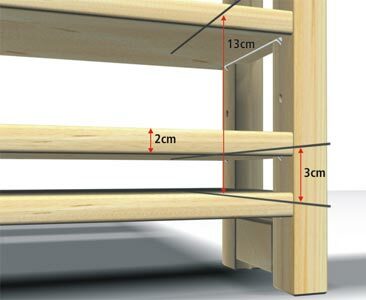 Yes all shelves are adjustable by every 5th cm including the top and bottom shelf. Q. How long has Shelfstore been in Business? * You can choose a preferred delivery date at Stage 2 of the checkout process. We are currently taking bookings for any day on or after 24/04/2019. Delivery is FREE for mainland UK order over £100 (excl. VAT). View carriage costs to other UK destinations by adding items to your basket (click 'Buy'). We deliver Monday to Friday 08:00 to 18:00.